I find it somewhat strange that the built in templates in Visual Studio do not include some rudimentary system for managing users and roles. 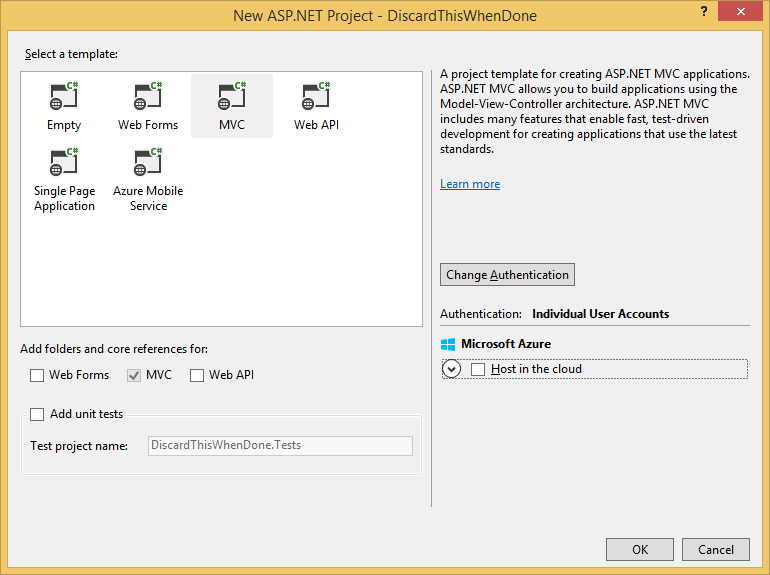 Asking my friend Google, I was pointed to this article: Working with Roles in ASP.NET MVC 4+ This looked good, and I eagerly entered this into a small test project. Alas, I was not able to make it work… So I went searching for how to create roles and users, and armed with this new knowledge, I was able to modify the mentioned example into working code. Once you’ve given yourself the Admin role, all these options will become available to you. The role management shown here is really simplistic, but for a simple demo application it will certainly do the job – and the code will teach you what you could do in a more sophisticated solution.